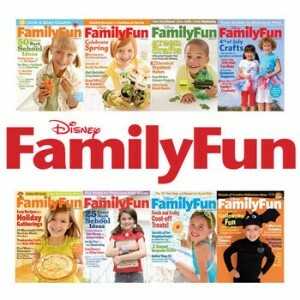 $3.50 For Disney Family Fun Magazine Subscription Through 12/14 | A Savings WOW! Here’s a great deal on Tanga for a 1-year subscription to Disney’s Family Fun magazine (10 issues). Normally, $29.90 per year, you can get a subscription for only $3.50 per year when you use the coupon code FAMILY at checkout through December 14th at 8:59 PM CST. Disney’s Family Fun’s goal is for parents to enhance the time spent with their children. A typical issue explores learning activities, vacation planning, travel tips, and reviews of children’s books, videos, and music. Order your Disney’s Family Fun magazine subscription for only $3.50 today!